The Air Route Map Template in PowerPoint format includes three slides. Firstly we have the TOP 10 revenue air routes on the world map. Secondly Top 12 busiest air Routes are on the Asia continent. 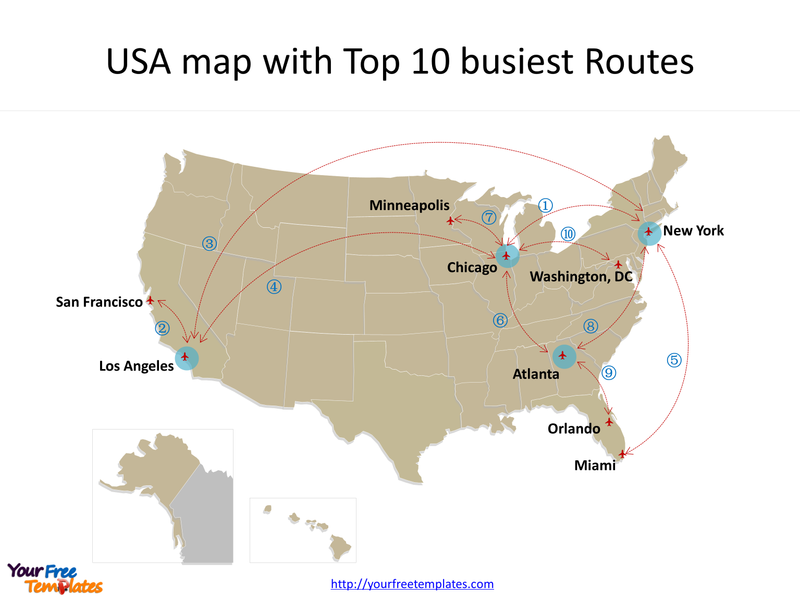 Thirdly the PowerPoint template is for Top 10 busiest air Routes on the USA map. As the same series, you can also find our Data Mining, Machine Learning, cloud computing, Artificial Intelligence and BlockChain PowerPoint templates. The Air Route Map is for the airway or air route is a defined corridor that connects one specified location to another at a specified altitude, along which an aircraft that meets the requirements of the airway may be flown. 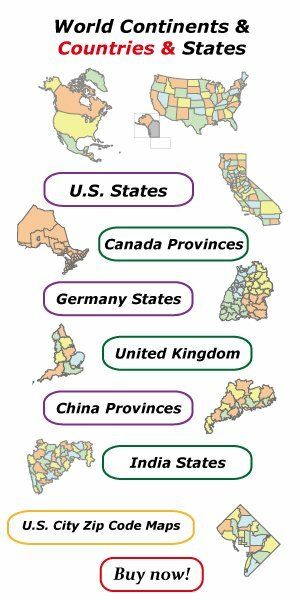 The Air Route Map PowerPoint templates include three slides. 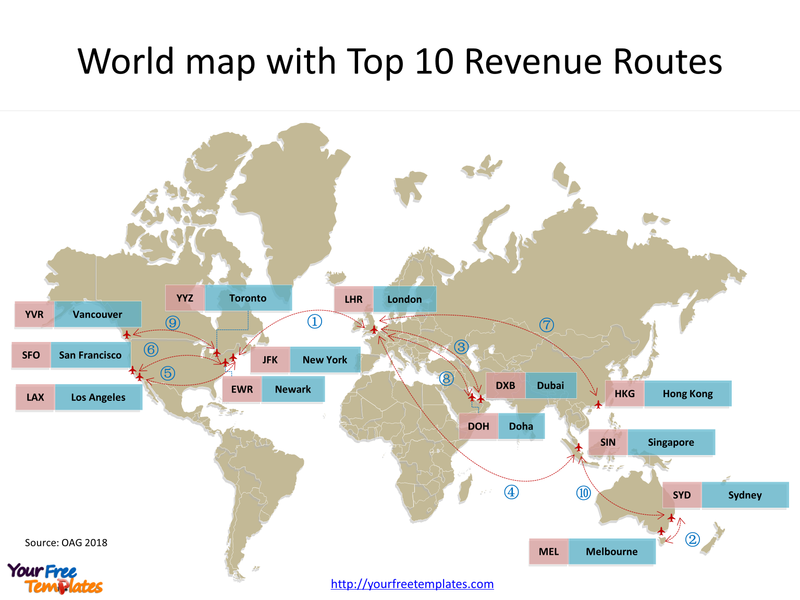 Slide 1, the TOP 10 revenue air route map on the world. It is reported that the top 10 revenue air routes on the world map are air traffic among the United Kingdom, the United States, Canada, Australia, Hong Kong, Singapore and UAE, Qatar in Middle East. In the first place is London Heathrow airport, there are five air routes to and from it in the list. In the second place we have New York John F. Kennedy international airport and Singapore airport. In the end other important airports are located in Los Angeles, San Francisco, Newark, Toronto, Vancouver, Dubai, Doha, Hong Kong, Sydney and Melbourne. 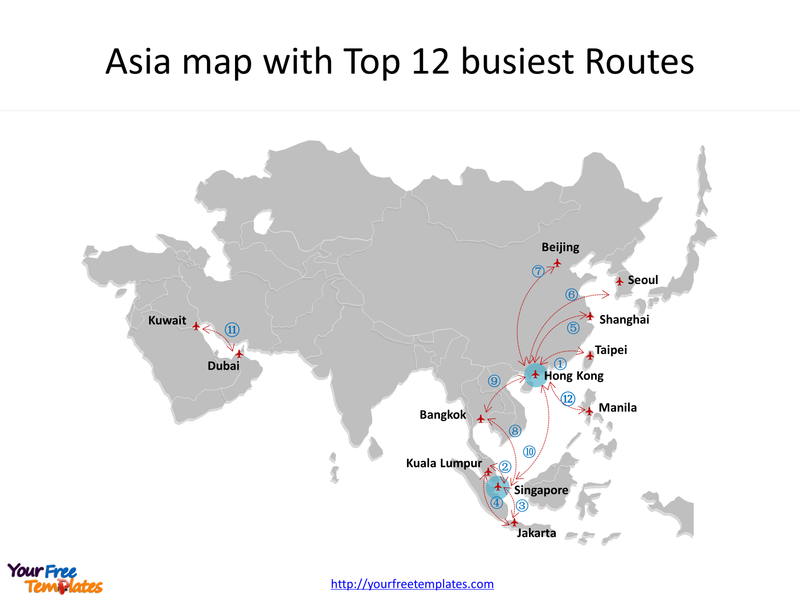 There are 12 busiest air Routes on the Asia map with Hong Kong and Singapore as the centers. For Hong Kong airport, it enjoys 7 air Routes to destination including Taipei, Shanghai, Seoul, Beijing, Bangkok, Singapore and Manila. And for Singapore airport there are 4 lines for Southeast Asia countries including Hong Kong, Jakarta in Indonesia, Bangkok in Thailand, and Kuala Lumpur in Malaysia. Furthermore other lines are Dubai to Kuwait, Jakarta to Kuala Lumpur. We have Top 10 busiest air Routes on the US map with the four centers, they are Los Angeles, New York, Atlanta, and Chicago. Firstly Chicago in Illinois has five lines which is the most. Secondly comes New York in New York state with 4 lines. Thirdly Atlanta in Georgia and Los Angeles in California state has 3 lines. In the end other important destinations are Miami and Orlando in Florida state. For detailed info on air Routes, please refer to Wikipedia. I am at short of words to thank you guys….amazing work…awesome editable maps……thanks a million. It is great our templates can help you.